Even in the world of Japanese confectionary, we have already established a reputation as a long-established shop. But our philosophy is that, rather than sitting back on the laurels of tradition, we must evolve as we move into the future. With this in mind, we formed a corporate vision aimed at creating a culture of Japanese confectionary for the 21st Century. 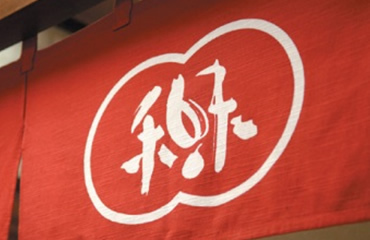 This vision is embodied in the word “NAGOMI.” The emblem shown on the curtain at the entrance to the shop comprises two characters in two interesting circles. The first of these characters (on the left) means peace or harmony, and the second (on the right) taste or flavor. Combined, they are read “NAGOMI.” We have incorporated these characters into the name of the shop to mean spiritual harmony combined with delicious taste and tradition combined with innovation. The design that combines gentle curves with boldly written calligraphy represents our commitment to resolutely tackle new challenges. The idea of “NAGOMI” is our starting point. 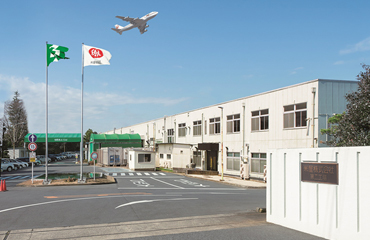 Established in 1899 (Meiji 32), we are a long-established company engaged in the production and sale of items such as Japanese confectionary with its head office in Narita City, Chiba Prefecture. Taking a hint from “Kuri-Kan,” a type of Shojin-Ryori (Buddhist vegetarian cuisine) confectionary made using chestnuts, our famous “Kuri-Yokan” was first made using a variety of chestnut known as “Shiba chestnuts. ” Although we succeeded in achieving the top Yokan sales volume in Japan during the early days of the Showa Era (1926 - 1989), production was discontinued due to the regulation of raw materials imposed in 1944. “YONEYA HONTEN Corporation” was established in December 1945, marking the postwar resumption of business. The company first made inroads into Tokyo with an exhibition of its products at an event known as “The Exhibition and Sales marking the Restoration of Japanese Confectionary” held at the Tokyo Mitsukoshi department store in 1950. Subsequently, the company went on to show its products in cities such as Osaka and Sapporo. Now, the company operates over 20 directly-managed shops in Chiba Prefecture. The most important section of our company is the Production Department, where the ultimate priority is on quality. Here, we pursue methods of producing traditional tastes with absolute safety. Techniques amassed down through the long years of our history and cutting-edge automation technologies are combined here to realize the traditional taste and spirit of YONEYA. A brief history of YONEYA spanning a period of more than one hundred years from its foundation in 1899 (Meiji 32) to the present is presented below. Exhibited Yokan at the Tokyo Taisho Exposition and won the Silver Medal. Exhibited products at the Peace Exposition and won the Silver Medal. Kenichi Morooka appointed as president. Exhibited products at the Tetsudou Kousaikai Exhibition and won the first prize. Exhibited Yokan products at the National Confectionary Exposition and won the Honorary President Award. Exhibited products at the Brussels World Fair and won the Gold Medal. Exhibited products at the 45th London Bread and Confectionary Exposition and won the Gold Medal. Exhibited Yokan products at the 15th National Confectionary Exposition and won the Honorary President Award. Won the Minister of Health, Labor and Welfare Award for a hygienic factory. Launched the sale of canned Mizu-Yokan (soft sweet-bean jelly). Opening of the YONEYA Drive-in in Narita City. Exhibited products at the 18th National Confectionary Exposition and won the Honorary Award exempt from examination by the judges. Opening of a tour center in Factory No.2. Changed the company name to YONEYA Corporation. Opening of the YONEYA Sightseeing Center. Takaaki Morooka appointed as Representative Director. 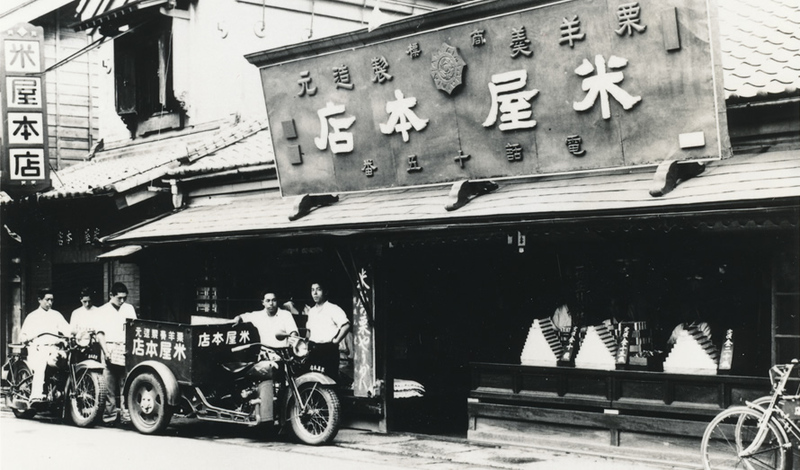 Opening of the NAGOMI-YONEYA Katsutadai Shop (The first roadside shop). Factory No.2 acquired ISO14001 (Environment Management System) certification. Renewal and opening of the NAGOMI-YONEYA Flagship Shop and inauguration of the Narita Yokan Archives Museum. Yasuhiko Morooka appointed as Representative Director and President. Factory No.2 acquired ISO9001 (Quality Management System) and HACCP certifications. Factory No.2 launched operation of a new environmentally-friendly boiler system. Renewal and opening of the Iidacho Café “NAGOMI STAGE”. Won the “Kikka Eiko Award” for its Peanuts Monaka. Factory No.2 acquired OHSAS18001 (Occupational Safety and Health Management System) certification. The number of visitors to the Narita Yokan Archives Museum topped 200,000. Ceremony commemorating the 100th anniversary of the company’s establishment. Presented with the “Eiichi Shibusawa Prize” by the Governor of Saitama Prefecture. Renewal and opening of the YONEYA Sightseeing Center. Won the Honorary President Award at the 26th National Confectionary Exposition for its Peanuts Monaka. Opening of the NAGOMI-YONEYA JR Narita Station Shop. Yoshikazu Morooka appointed as Representative Director and President. The number of visitors to the Narita Yokan Archives Museum topped 300,000.